TheExternal Form	step	was designed in Decisions to interact with forms using HTML methods or service calls. 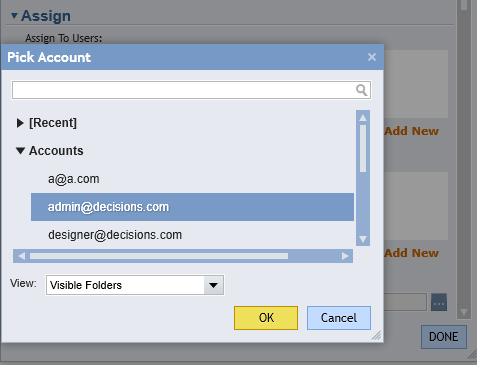 External Form	step could be found in the Flow Designer in the Tool Box	under the Forms[Interaction]	category. This method can also pass data into the External Form and retrieve data from the external form. 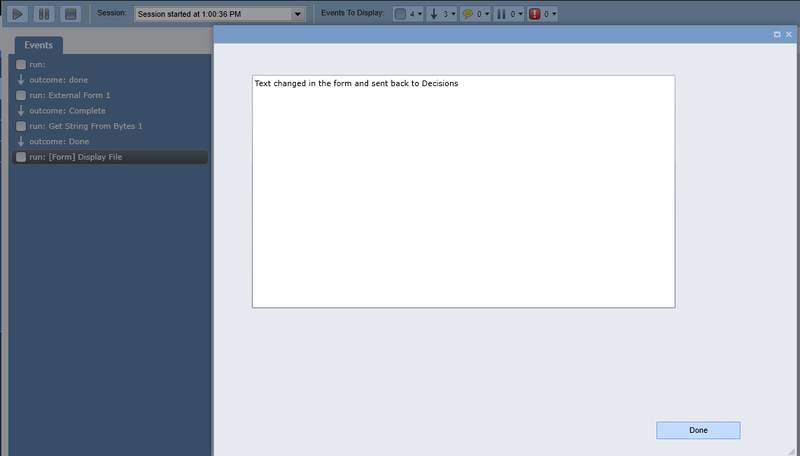 In this example we are going to pass text file from Decisions to an external ASP.NET web form, display its contents, edit its contents, send a newly edited text file back to Decisions and display edited content in Decisions' form. Navigate to the designer folder and create a flow*. 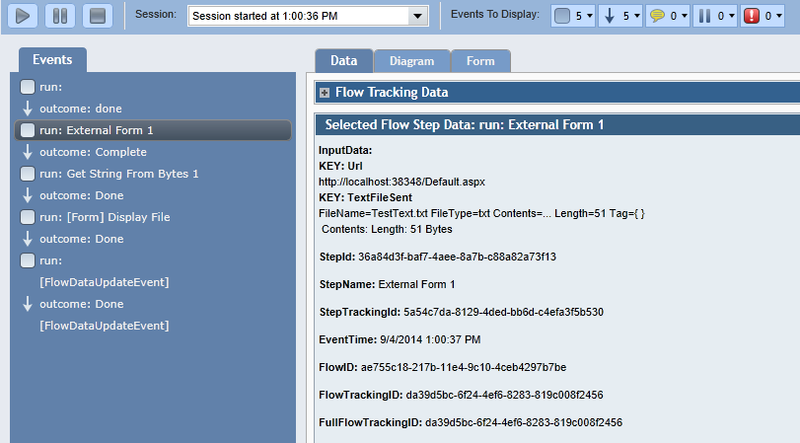 * In the flow designer navigate to the Steps Tab and locate External Form	Step. 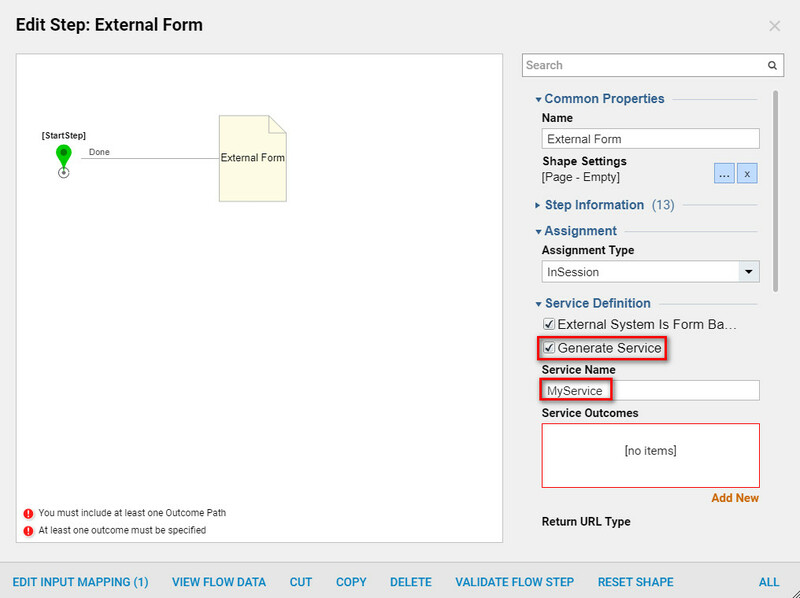 Locate Flows, Rules, Forms and Reports > Forms[Interaction]	and select the External Form	Step. On the right side of the flow designer or the quick add step, edit the settings for the External Form, under Common Properties	and under Service Definition	, locate Generate Service	checkbox and check it. 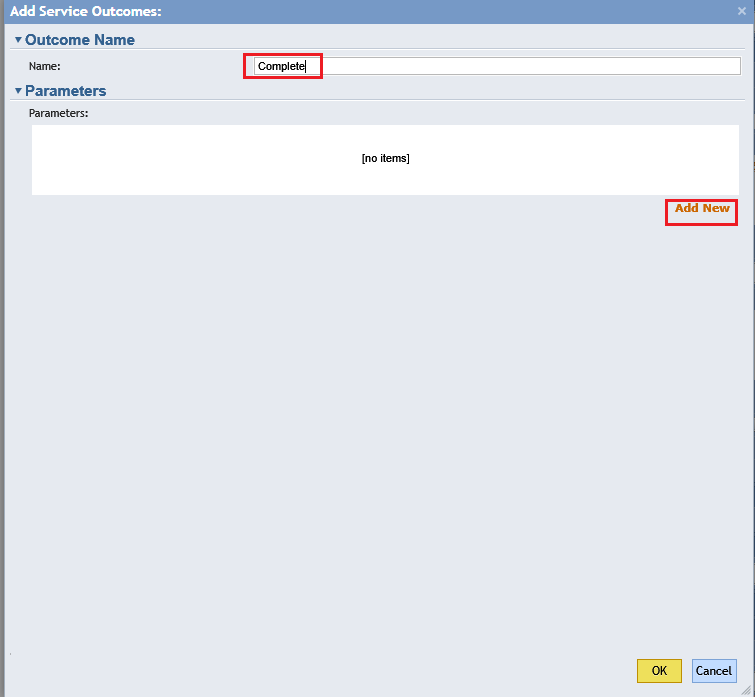 Notice, Service Name	field and give the service a name. If we select View Integration from the orange action panel on the top bar and a link with detail link for our External Form displays with useful information on how can we integrate our External Form with the Web Service we have just generated for this step. 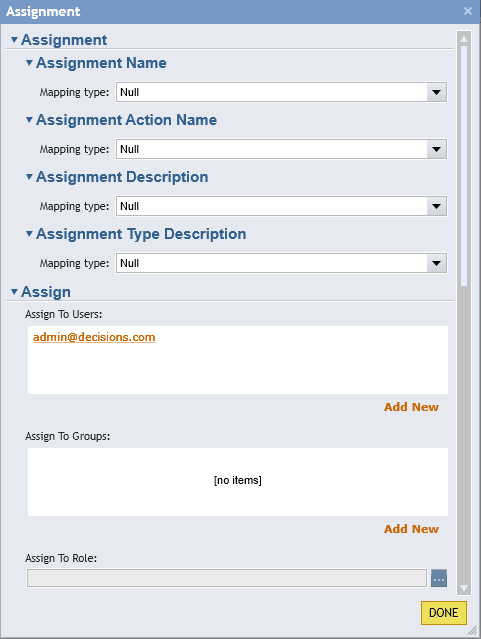 Select Integration form top orange action bar. 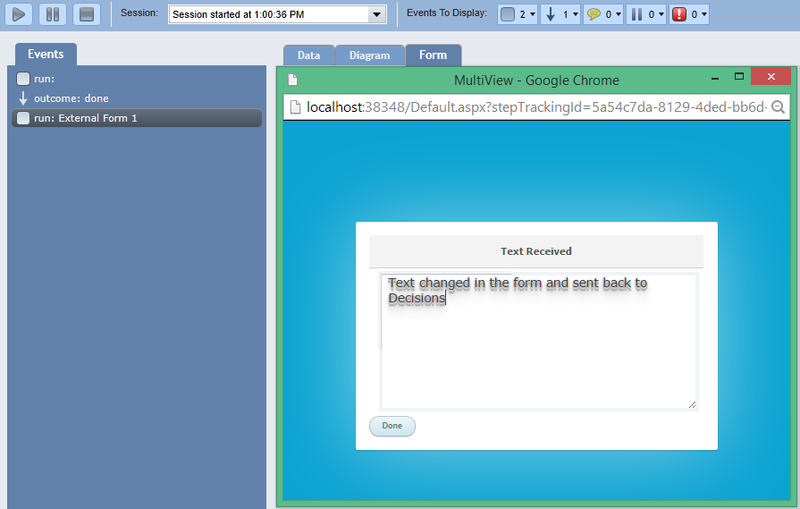 Select Integration and view integration details. 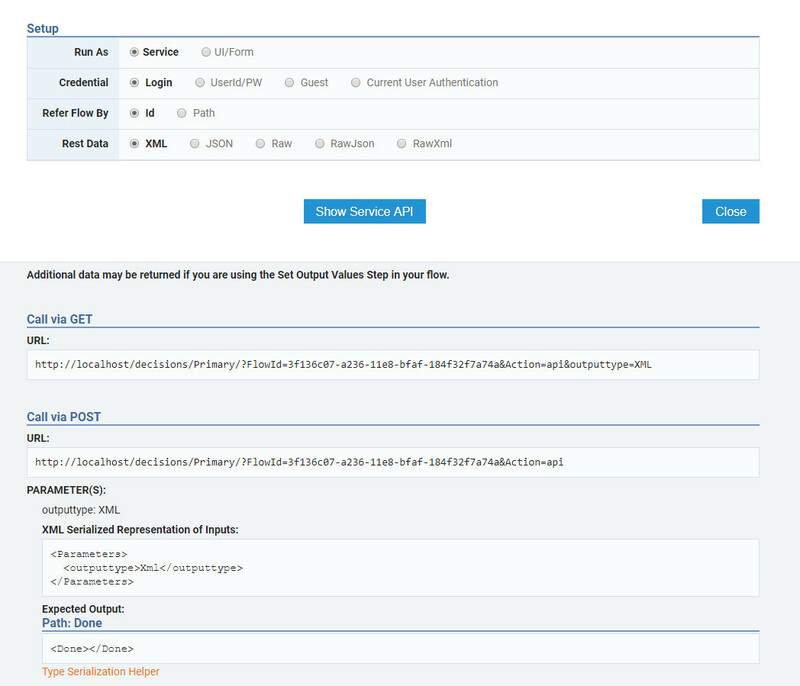 When Integration Detail Page opens we click on TestFormService link to get information on how to integrate with our Service. 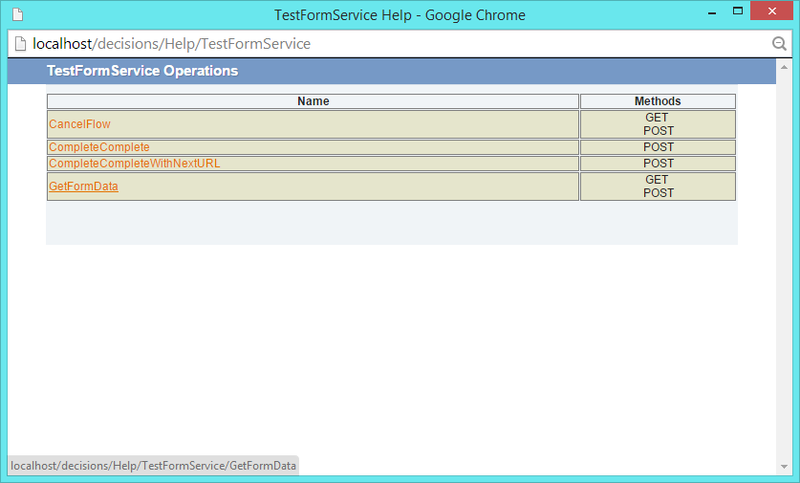 (Note: TestFormService is Name that was used in this example while Generate Service checkbox was checked). Finally, to be able to communicate with the Service we need to create a client. The previous screenshot shows us the way we can do it. In the Service Definition section under Service Outcomes	box, we have a warning saying that we must to include at least one outcome path. We click Add New	link to define our Outcome Path	. In the resulting pop-up window we name our outcome path and click Add New	link to add outcome parameter. We provide our parameter with name and define its type as FileData	because we are expecting text file to come back from our external form. 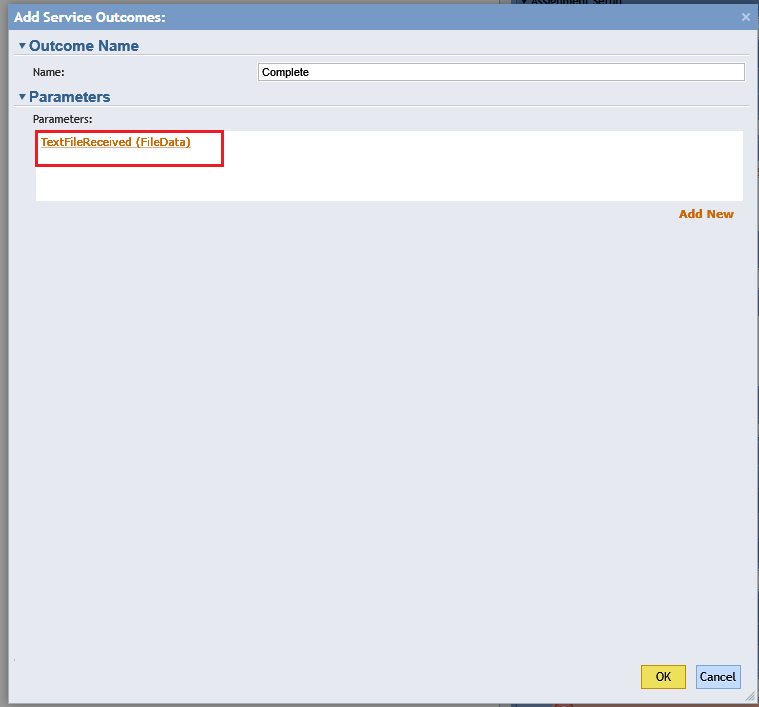 When finished click Ok	to save our parameter and return to our Outcome Path definition. Our Outcome Path	should look like this. We click Ok	to save it and return back to the Flow Designer. As well we need to send text file to our External Form. To accomplish it we click Add New	link under Expose Data On Service box. 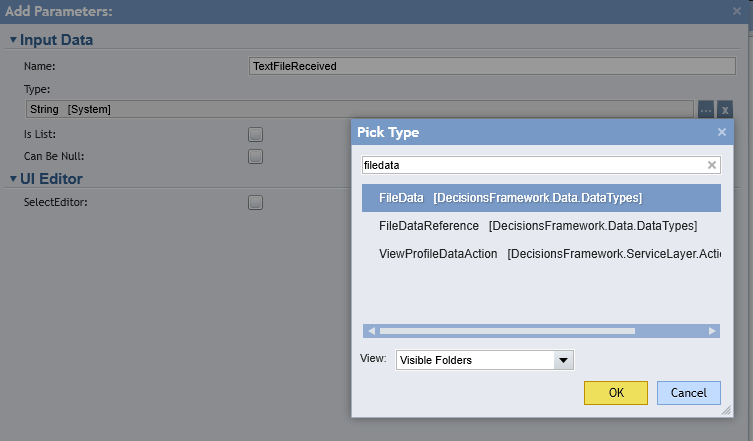 In the resulting pop-up window we name our parameter name and define its type as FileData. This variable will hold our file that we will send to our external form. Click Ok	to save and close this Data Definition window. 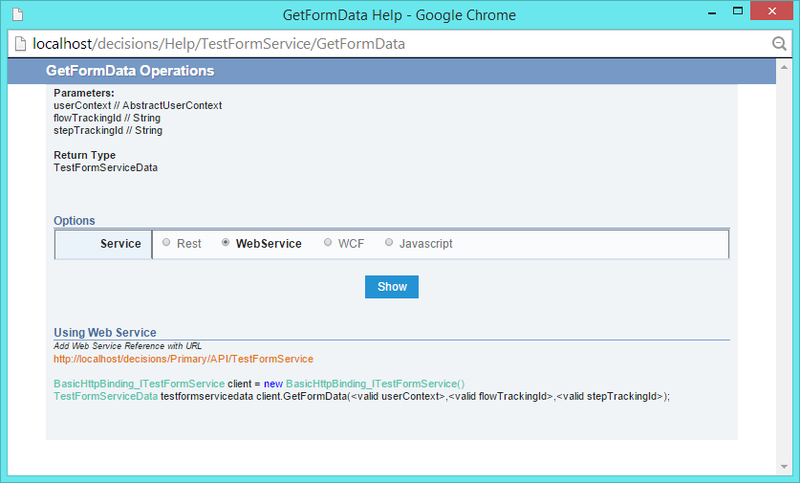 Next, we need to provide our External Form step with Url	to our external form. 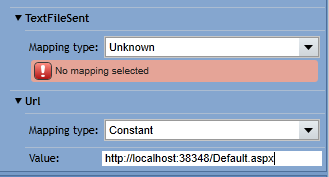 Under Url	settings we select Constant	from Mapping Type	dropdown. 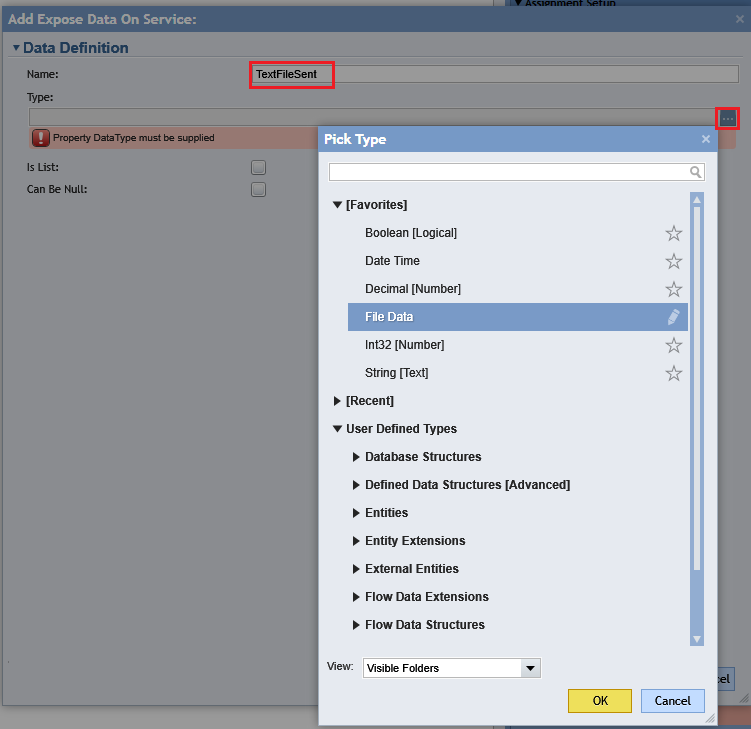 In the Value	field we insert url to our external form. Under our TextFileSent	variable's settings we select Constant	for Mapping Type . In the Value	field we click file picker. We browse to our file and click Open	to add it as the value for our variable. We are finished setting our External Form	step. Next, in the Flow Designer's ToolBox	use search bar to locate Get String From Bytes	step. We drag this step to our workspace. 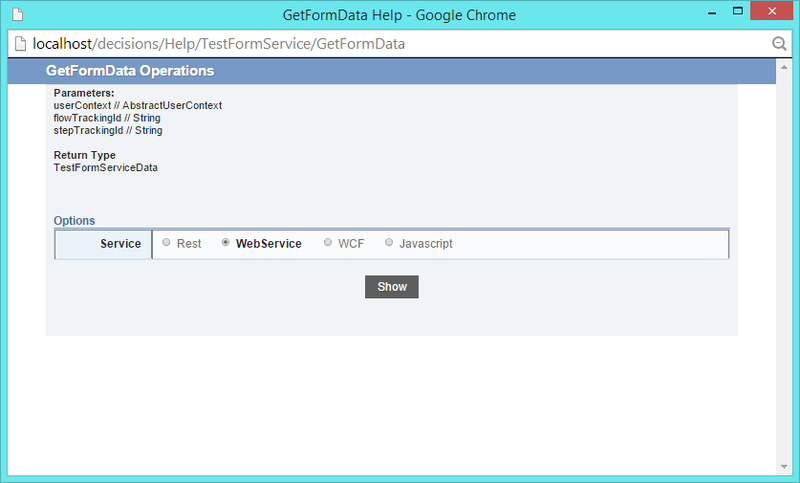 Next, connect External Form's outcome to Get String From Bytes	step. Get String From Bytes step will convert the byte array content of file that we will receive back from our external form into String. Click Show Mapping Editor	from Get String From Bytes' options menu. 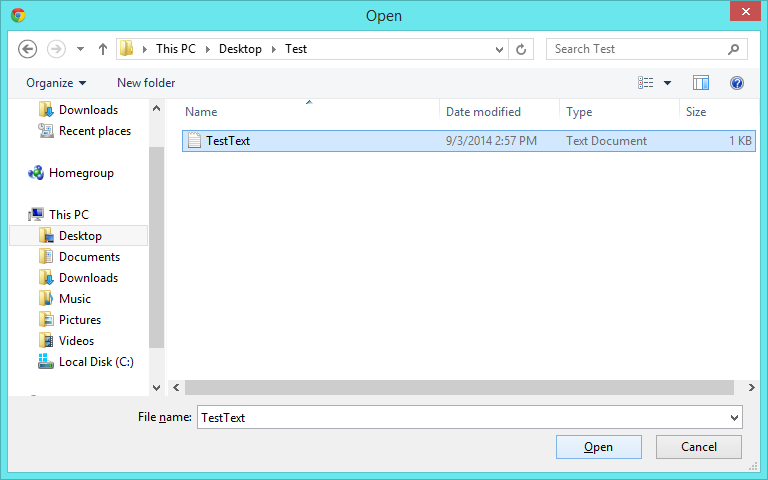 In the Mapping Editor we expand TextFileReceived	and connect Contents	field to bytes	field. This completes our mapping for Get String From Bytes step. We click Ok	to save and close Mapping Editor. The formDisplay File	were created for this example. We drag it to our workspace from ToolBox > Forms[Interactio] > [Current Folder]. Display File	form was designed as follow. It has a Text Block	element to display the content of the file we will receive back from external form. And it has Action Button Done	to close this form. Next, we connect the Outcome from Get String From Bytes	step to our Display File	form and the Outcome from Display File	form to the flow's end	step. 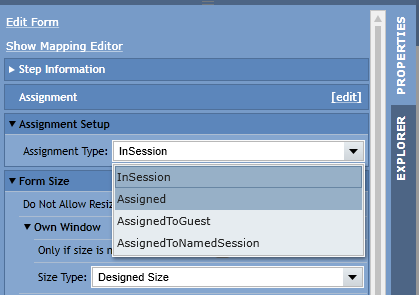 From our Display File form's options select Show Mapping Editor. In the Mapping Editor we connect GetStringFromBytes1_Output	to fileToDisplay	which is the name of our Text Block . This completes our mapping for Display File form. Click Ok	to save and close mapping editor. Finally, to make our Display File form work correctly we need to assign it. 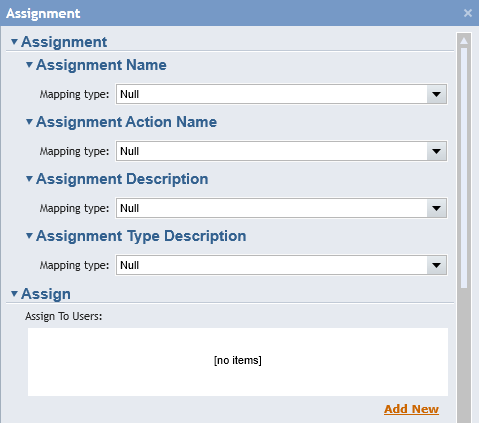 In the Display File forms options in the right panel we locate Assignment Setup	and change Assignment Type	from InSession	to Assigned	. Next, we need to add assignees. To accomplish it we click 	in the Assignment	menu. In the resulting pop-up window underAssign To Users	we click Add New	link to add new account to the list. Next we pick account and click Ok	to add it to the list. Click Done	to save and close Assignment window. This completes our Flow. From the top panel in the Flow Designer click Debug Flow	to test our flow. When debugger opens we can see that our file was passed to the external form. Our external form opens in a new window and our file's content displayed. We edit our text in the external form and click Done	to submit form and send a new edited file back to Decisions . The logic that is triggered when we press Done button in our External Form is that it creates new FileData instance that is Decisions type. 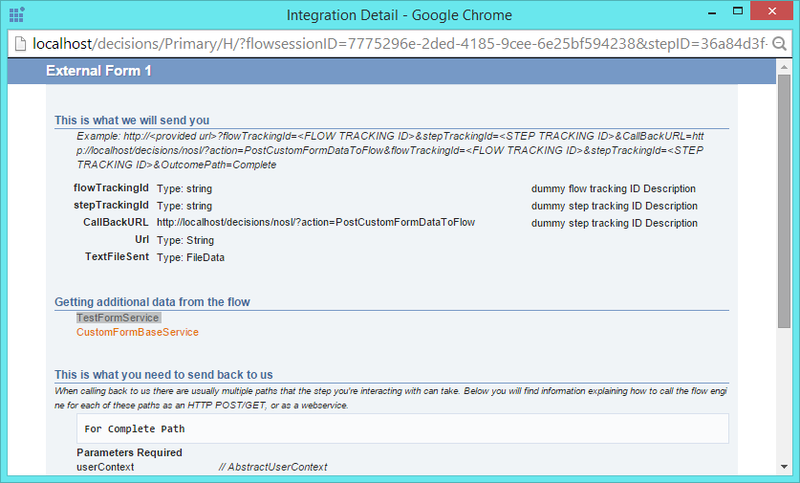 After we clicked Done in our external form it closed down and our flow continues to Display File form step. Assignment Notification	pops up and the flow pauses. To continue our flow and open Display File form we click on the Assignment Notification	and click Fill in Form Display File. Display File	form opens with the content of the file provided in the external form. We click Done	to close this Display File form. Our Flow's Diagram	shows that flow ran to the end step with no issues. Finally GetStringFromBytes step processed received file's content and generated a string from the received byte array. Next, this string was simply passed to our Display File form's text block. This will not work on in crossdomain environment. 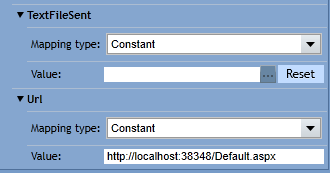 For example if Portal Base URL	in format [machine name]/decisions/Primary and we try to call Form on localhost .